The Chancellor of the Exchequer Philip Hammond today announced a package of measures to support business to boost skills, growth, and prosperity in the economy. 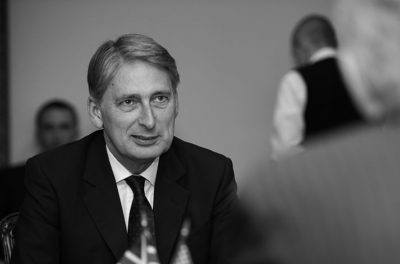 Mr Hammond pledged Government support for apprentices, adult training, steps to boost management skills in small businesses, and to ensure the UK’s regulatory system is fit for the future. The Chancellor announced a package of reforms and £95 million to the Apprenticeship Levy; £20 million to be invested in networks to enable small businesses to learn from each other and from world-leading firms; and a further £11 million to pay for a training programme to build the necessary management skills lacking in many SMEs. The Government’s ambition for the latter is to help 2,000 businesses in its first year, with the goal of training 10,000 people a year by 2025. The Government wants to work with employers to provide the opportunity for every worker to upskill or retrain, to meet the demands of the new economy. To these ends, the Chancellor pledged £100m for the first phase of the National Retraining Scheme, announced in the last Budget, and which will be rolled out in 2019. This will include a new careers guidance service with expert advice to help people identify work opportunities in their area and what they need to do to get the skills to land the job, combined with new courses combining online learning with traditional classroom teaching to help people further develop their key transferable skills. The Chancellor also announced that he will commission the National Infrastructure Commission to carry out an independent study of the telecoms, energy and water regulators, to ensure they have the ability to encourage investment, drive innovation, and meet the needs of 21st century consumers. Furthermore, Mr Hammond announced the investment of £2 million for the Midlands Engine Partnership to support a study into how best to redevelop the area around Toton in the East Midlands, to ensure the growth opportunities offered by HS2 are maximised.